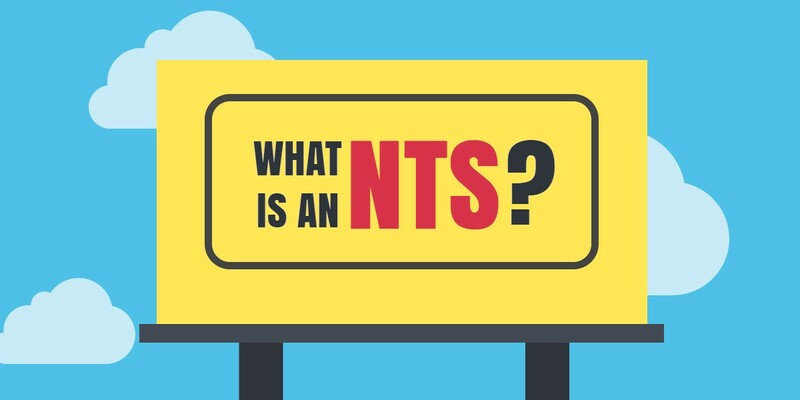 What is an NTS? This is a common question we see at NASBA as a Notice to Schedule (NTS) is a very important part of your CPA Exam journey. If you’re not familiar with this acronym because you are just starting the Exam process, or you are unsure of how an NTS may affect you, then it’s time to know the ins and outs of all things related to an NTS. Once your CPA Exam application has been processed, you’re determined eligible to take one or more sections of the CPA Exam and you’ve paid all fees, NASBA will issue an NTS to you. When your NTS is issued, you will receive an email notification. At that time, you will need to sign into your account in the NASBA Candidate Portal and print your NTS. The NTS will list the section(s) of the Exam you are approved to take, which will allow you to contact Prometric to begin the scheduling process. Scheduling instructions will be included on the NTS. When you receive the NTS, verify that all information is correct. Be certain the name appearing on the NTS matches exactly the name on the identification documents you will use during check-in at the testing center. If the information is incorrect, or your ID and NTS do not match, immediately contact your Board of Accountancy or its designated agent to request a correction, as you will not be admitted into the testing center if information is incorrect. You must bring your NTS with you to the testing center. Be sure to take the correct NTS with you as you will not be admitted into the test center without the correct NTS, and you will forfeit all fees for that section. Your NTS includes the Exam section identification number for each approved section of the Exam. This number is also used as the Exam “Launch Code” (password) for each approved section. You will enter the Launch Code on the computer as a part of the login process. Boards of Accountancy set the amount of time an NTS is valid (generally six months), which will include some time outside a testing window. You must schedule and take the Exam section(s) within the dates on your NTS. If the allotted time expires and you have not scheduled and taken your Exam, all fees will be forfeited. It is strongly suggested that you do not apply for a section of the CPA Exam until you are ready to take it. If you do not take all sections you registered for before the NTS expires, you will not be able to extend the time or receive a refund of fees. Please be advised that canceling an Exam appointment does NOT change the expiration date of your NTS. If an NTS expires, you will need to submit a new application, including application and testing fees. Fees submitted for an expired NTS cannot be applied to future Exams. You cannot have more than one open NTS for the same section, and you must receive the score or allow the NTS to expire before you can apply for the same section again and receive a new NTS for that section. For a complete roadmap to CPA success, take a look at The Candidate Bulletin.